Gloc-9, Sarah Geronimo, Darren Espanto, and Nadine Lustre were some of the singers who received major awards in the 2017 MYX Music Awards. 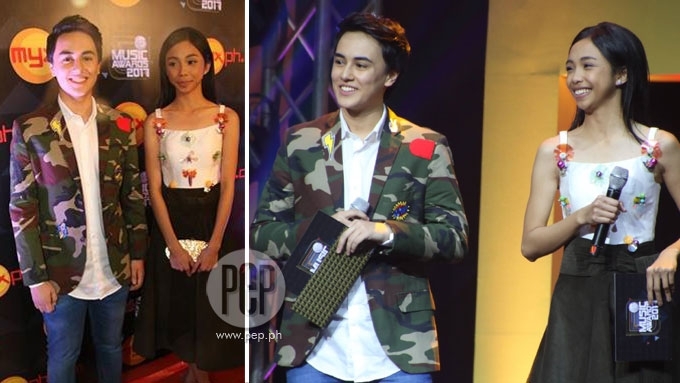 The awards, based on fan votes and artist votes, were handed out earlier tonight, March 16, at the KIA Theater in Cubao. 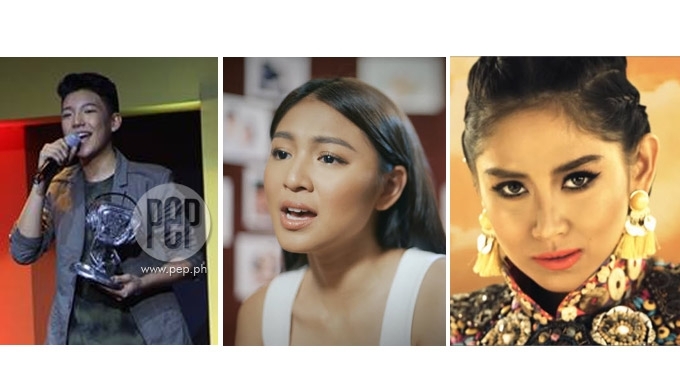 Darren Espanto and Nadine Lustre were hailed as the Favorite Male and Favorite Female Artists this year. The Best Music Video Special Award was given to Hoy of Gloc-9. After the awards night, Darren was asked backstage if he was open to trying acting just like JK Labajo. Darren revealed that he was already set to do a teleserye but his heavy schedule prevented him from pushing through with the project. Sarah Geronimo was unable to attend the awarding, which is why she did not personally accept her trophies for Favorite Music Video (Tala), Favorite Song: (Tala), and Favorite Collaboration: The Great Unknown (Sarah Geronimo feat. Hale). James Reid and Nadine Lustre were also not present, which is why they missed out on personally receiving the award for Favorite Media Soundtrack. One of the biggest surprises of the evening was a video from British singer Ed Sheeran who presented the nominees for the Favorite International Video category. When he accepted his award for Favorite Guest Appearance in a Music Video, Nash Aguas said in his speech: "Salamat kay Alexa na pumili sa akin para makasama ako sa music video niya. Gusto ko na malaman mo na proud na proud ako sa mga narating mo." Meanwhile, Ylona Garcia exclaimed "Oh My God!" over and over again as she accepted her award for Favorite New Artist. The MYX Magna Award was given to Vic Del Rosario Jr., the head of Viva Entertainment. This honor is given to an industry icon who has a tremendous contribution in the local music scene. Last year, singer-songwriter Ogie Alcasid won this special recognition. Jaya, Ogie Alcasid, Tyro and Yumi, as well as Jinky Vidal performed songs to pay tribute to the executive. Boss Vic, as he is more popularly known, told the crowd: "In my 50 Years in this industry I would like to offer this award to all the artist na nakasama ko. Let's continue to promote Original Pilipino Music." The MYX Music Awards was hosted by the MYX Squad, VJs Ai dela Cruz, Robi Domingo, Tippy Dos Santos, Donny Pangilinan, Sunny Kim, Jairus Aquino, and Sharlene San Pedro. Darren Espanto revealed at the #MYXMusicAwards2017 that he was already set to do a teleserye but his hectic schedule prevented him from pushing through with the project.